Shopping for a Used Mazda6? If you’re looking for a big selection of pre-owned Mazdas including the legendary Mazda6 – you’ve found it! Sport Mazda Orlando matches our incredible number of new Mazda vehicles with an equally impressive collection of used cars. We carry a variety of makes and models from all the major manufacturers which include low-mileage, one-owner trades, budget buys, off-lease vehicles, and executive demos. Call us today at our Orlando Mazda dealership, (407) 392-9336. In addition to the significant cost savings, buying pre-owned also has other benefits as well. 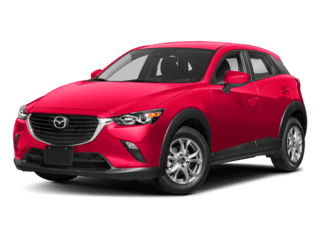 Most notably, when you opt for a Certified Pre-Owned Mazda you’ll enjoy a factory backed limited warranty, powertrain protection, and roadside assistance service. It’s not a stretch to say that more and more used shoppers who come to our Orlando, FL auto dealership end up making the decision to go with a Certified Pre-Owned model like the Mazda6. Certified Pre-Owned Mazda6s are available in many different trim levels, model years, and exterior colors. Which one is the right choice for you? The best way to answer that question is to head down to Sport Mazda Orlando and take a test drive. Once you’ve taken an up-close and personal look at the Mazda6, you’ll be amazed by the benefits of the Certified Pre-Owned program and our incredibly competitive prices. You’ll also love our customer-friendly, no-pressure transaction process. It’s just one of the reasons we consistently garner top awards for customer satisfaction amongst automotive dealers in the state of Florida. 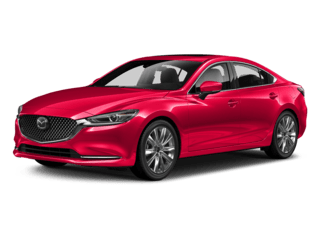 The Mazda6 is a four-passenger mid-sized sedan that combines style, performance, and utility into one of the more compelling car packages on the market. Let’s face it: the midsized sedan offerings from other automakers tend to be on the rather bland and boring side. To be fair, two particular automakers have made some strides in styling recently, but performance and driving excitement is still an afterthought or no thought at all with them. That’s what makes the Mazda6 so special. Not only does it look great, but it also provides incredibly responsive steering and peppy acceleration. Opt for a later model year certified pre-owned Mazda6 and you’ll get some of the most advanced technology features available on the market. Recent additions include advanced driver assistance features like blind spot monitoring system, rear-cross traffic alert, and forward collision mitigation system. One of the factors that sets a certified pre-owned Mazda6 apart from competing vehicles is driving dynamics. Most recently, Mazda has added G-Vectoring Control to the Mazda6. In layman’s terms, G-Vectoring is a system that almost imperceptibly shifts weight from one area of the car to another to make your cornering experience in the Mazda6 even smoother. It’s just another example of how Mazda is constantly refining the driving dynamics in their vehicles to make them better. The later model years of the Mazda6 midsized sedan also come standard with a 2.5L four-cylinder engine that generates 184 horsepower and 185 lb-ft torque. If getting a luxury equipped version of a certified pre-owned Mazda6 is a “must-have,” then you’re in luck. With most model years, the Grand Touring trim is available with premium amenities that may include Bose premium audio system, heated front seats, leather upholstery, navigation system, and much more. In addition to great Mazda selection and low prices, Sport Mazda Orlando is consistently rated as one of the top dealerships in the state of Florida for customer satisfaction. Want proof? Just stop by our dealership to browse our inventory, get your car serviced, or take a test drive. We’re sure that if you give us one shot at earning your business, you’ll never want to go anywhere else again.